The other day I saw posters about an audit into drug omissions in hospitals. 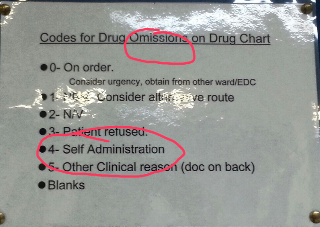 I can't help wondering how administering a drug is an omission! !